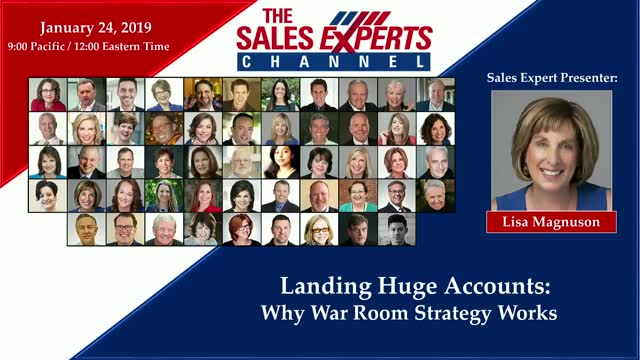 If you want to accelerate your top opportunity development, then consider a war room approach. Your biggest prospects require a strategic mindset, planning and tools to develop and close. Sales leaders will learn how to coach account based teams to big wins and account successes. 1.What is a war room? 2.How to get the senior leadership team to back your war room efforts. 3.What to include in your war room strategy sessions. 4.Best practices for setting up a successful war room strategy meeting. 5.What results can you expect from your war room?